Start by using your round punch to make circles out of your paper. It doesn’t matter the size of the circles. We used bigger ones but I think if we do this again I would use smaller ones for more variety. 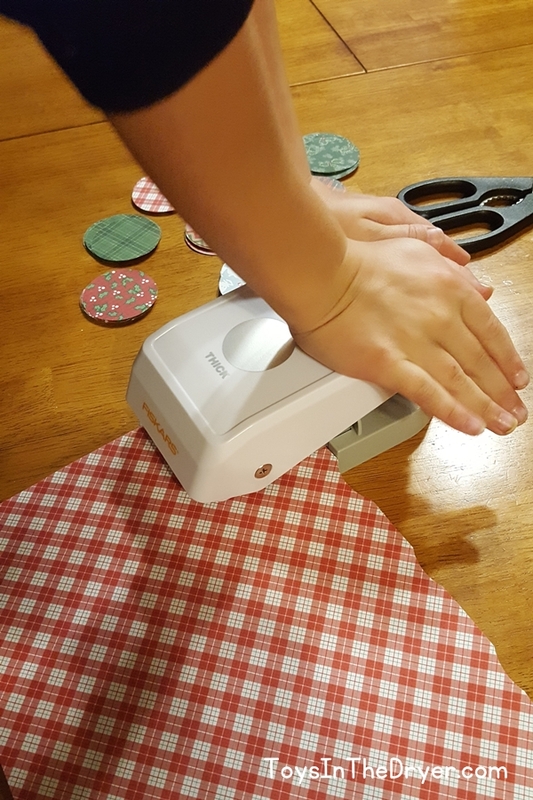 If you don’t have a round punch, that’s ok. You can use any shape punch you want or you can even tear the paper into whatever shape you want. Each bowl is unique and that’s the beauty of it! 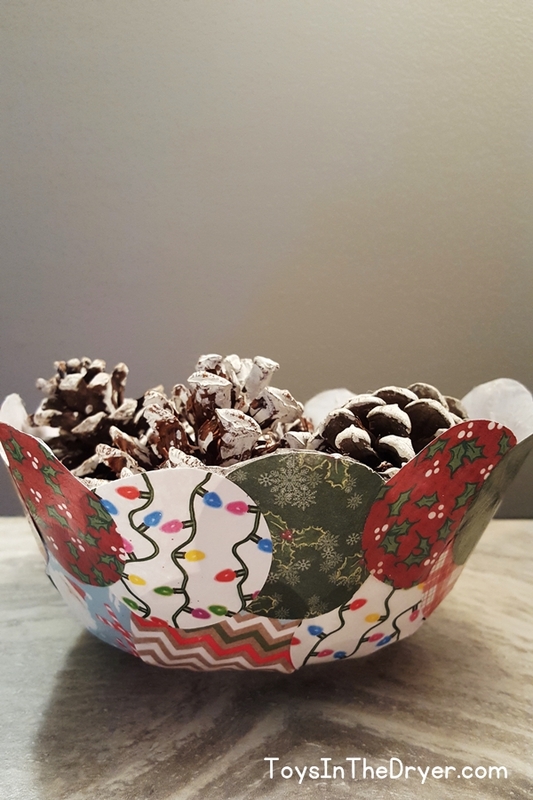 Next you’ll want to cover your bowl with plastic wrap so that the Modge Podge and the paper don’t stick to it and ruin the bowl and your paper bowl. 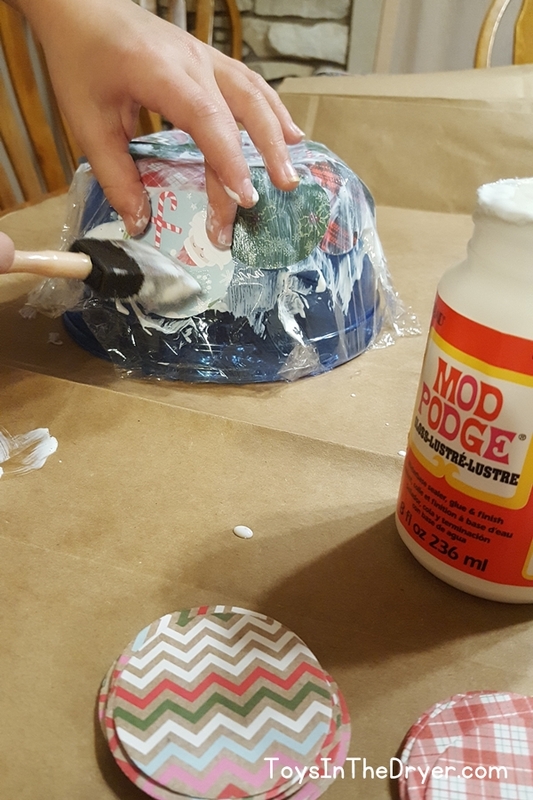 Now use your sponge brush to cover both sides of your circles (or whatever shape you are using) then stick them to the plastic covered bowl. Our paper was not double sided so the inside of our bowl ended up to be white. If you want the inside of your bowl to be patterned and you don’t have double sided paper, do two layers of circles. 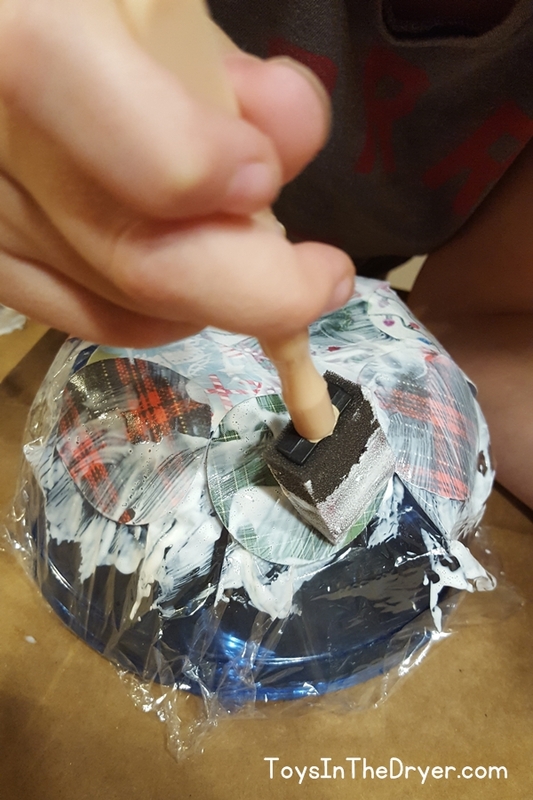 The first layer should have the pattern facing the bowl, the second layer should have the pattern facing you. Continue to Modge Podge your paper around the bowl making sure to over lap the circles and fill in any gaps or holes. Once done, set your bowl aside to dry over night. 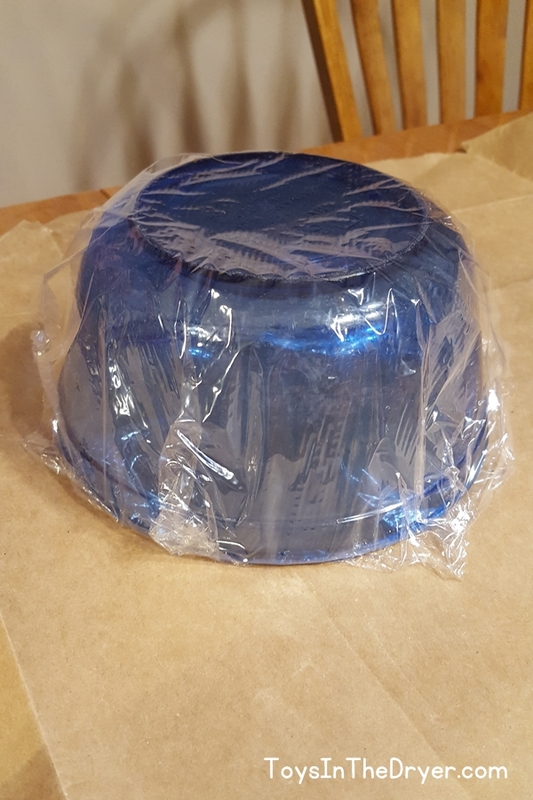 In the morning, remove your paper bowl from the bowl mold and take off the plastic wrap. 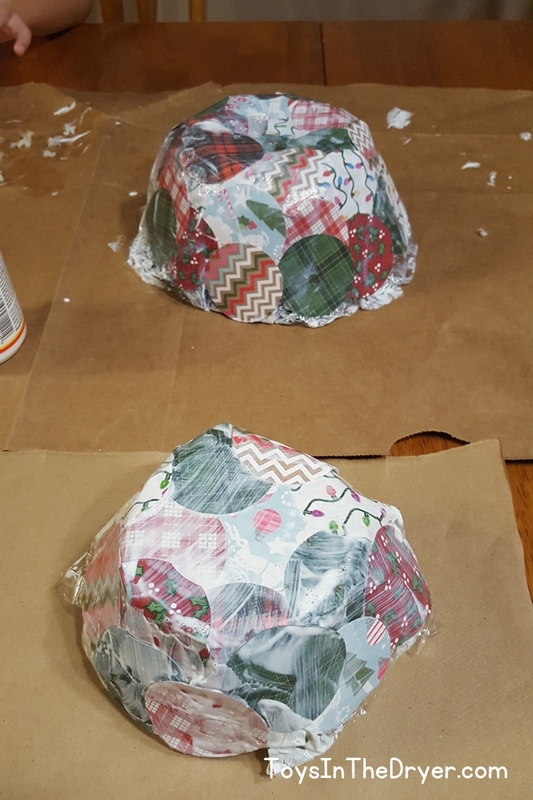 The inside may or may not need more time to dry depending on how many layers of paper you used. When completely dry, fill your bowl with whatever you want and set it out for decor! I guarantee you’ll get compliments on it! 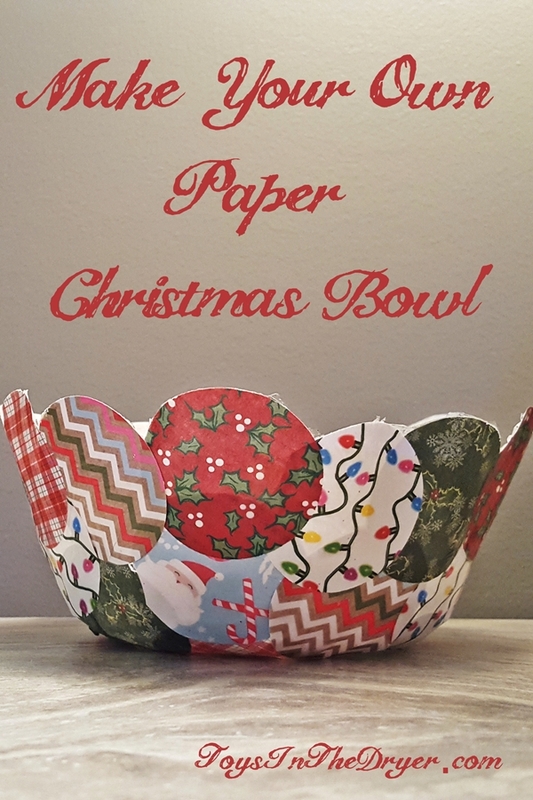 Will you make your own paper bowl for a Christmas decoration this year? What will you fill it with?